S-9, Aditya City Centre, Indirapuram Ghaziabad - 201002, U.P. Pragati Infragoal Private Limited is one of the best, professionally managed realty groups in Delhi NCR. The company was established with an aim of providing new dimensions of luxurious living. 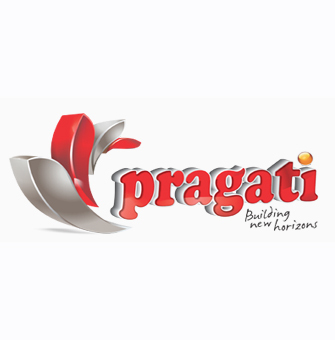 Pragati Infragoal Private Limited was incorporated in the year 2004. The company is largely based its operations in Delhi NCR with many projects in the Meerut and Nainital. The headquarters of Pragati Infragoal Private Limited are in Noida. The company strives to provide the best real estate solutions without ever compromising on the quality of services provided. Pragati Infragoal Private Limited develops and delivers projects with a set of infallible values. Pragati Infragoal Private Limited has developed a number of commercial and residential properties across Delhi NCR. The highlight of each project carried out by Pragati Infragoal Private Limited is the fusion of innovation, modernization and tradition that is incorporated in each project. The company pays special attention to every detail in a project, from selecting a prime location to delivering luxury at affordable prices. The vision of Pragati Infragoal Private Limited is to revolutionize the real estate market with its novelty, dedication and commitment towards a project. Gaining the respect of its peers and garnering a positive response from its satisfied clients is the Pragati Infragoal Private Limited mission.